Like a twist on the mullet haircut, the moon cactus is party up top and business down below. It is actually two cacti in one: the top is a Gymnocalcium, a neon-colored, pumpkin-shaped cactus that does not contain chlorophyll; the bottom cactus is a green stalk that can make plant food through photosynthesis. The “moon” is grafted onto the stalk for life support. 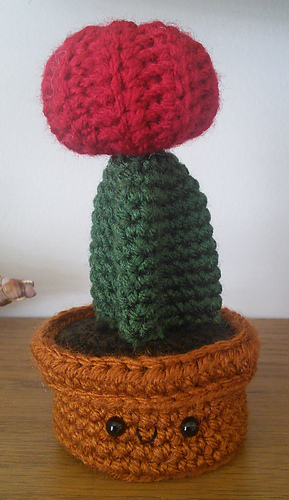 The moon cactus is a popular houseplant with varieties in bright red, pink, orange, yellow, and even purple. 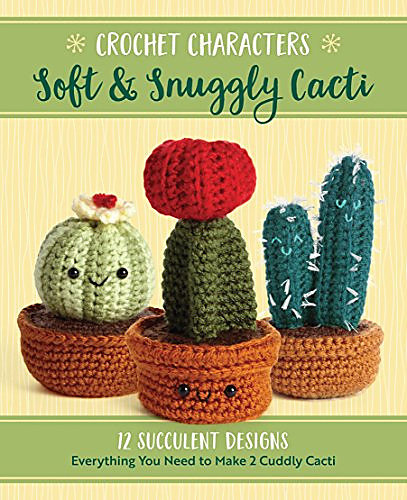 Make your first moon cactus with the provided kit yarn, then make more in any color you choose.